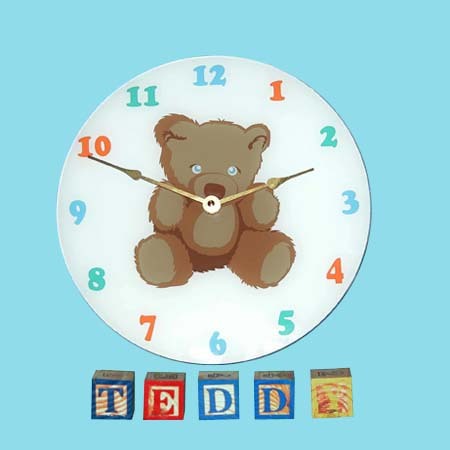 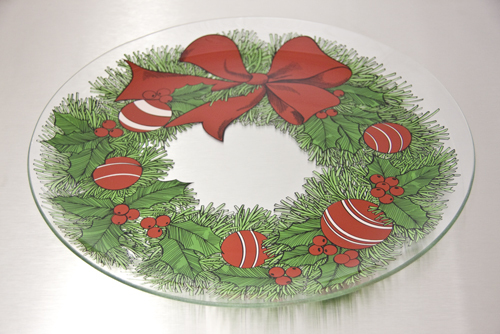 Our decorated glass line has been around for many years. 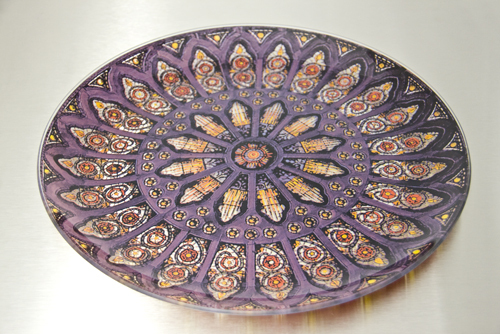 Our popular silks screening process creates beautiful pieces of work that bring new life to your home or office decorations. 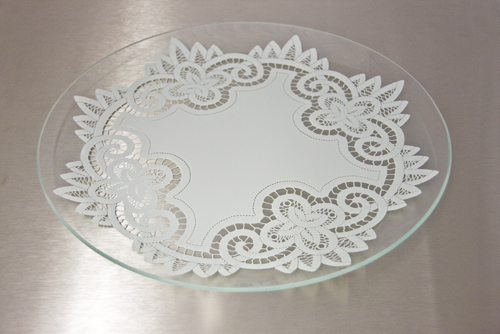 The popular white silk screened Battenberg Lace has been a favorite for years. 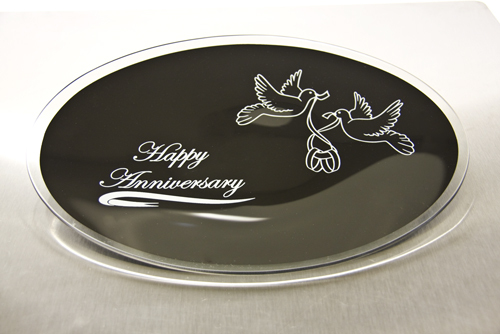 Our line is not only limited to lace print, we have a line of anniversary plates, religious, patriotic, Christmas, and children's clocks. 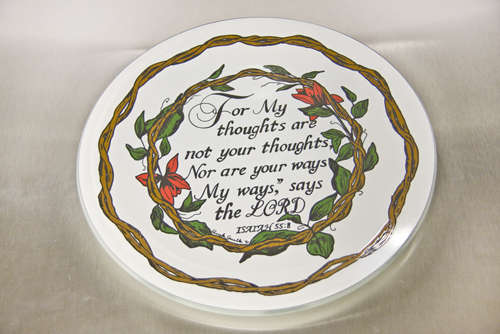 No matter the time of year these plate are great as gifts to anyone, or yourself! 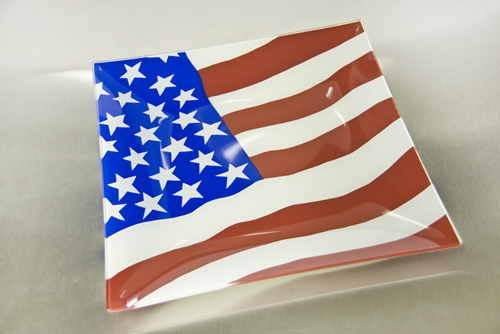 All glass sold is made in the United States.